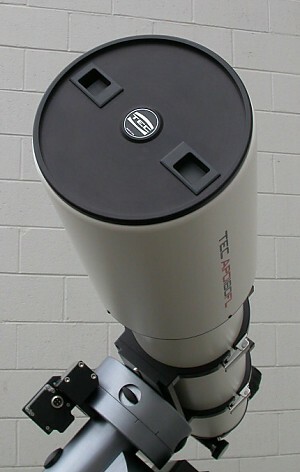 TEC (Teleskope Engeneering Company) ) has been producing apochromatic high-end telescopes for many years now. As customers requested, TEC has now started to offer astronomical binocular telescopes or "binoscopes". Such instruments offer an extrordinary usability and functionality for visual astronomy. The well-known advantages of binocular viewing can be found in perfection here. A normal bino-viewer spreads the aperture of one telescope to both eyes, while a binoscope provides von telescope for each eye. The light paths are guided into your eyes by a special erecting mirror systems, which TEC gets from Matsumoto and integrates into the system. 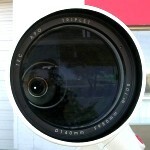 The currently available bino-telescopes of several manufacturers usually have apertures between 80 and 120 mm. TEC only starts at 140 mm. There are currently three sizes: 140 mm, 160 mm and 180 mm – all built the same way. But even a special edition with 200 mm or even 250 mm aperture is possible! The advantage of astronomical bino-telescopes over the usual giant binoculars is that they are true apochromatic optics. They are of a much higher optical quality, because they were meant to be used as single telescopes and to deliver fine images even at highest magnifications. Giant binoculars are usually not designed for magnifications beyond 100x, the bino-telescopes by TEC can deliver much higher magnifications. 150x is nor problem at all. In nights with a better seeing than 1", also magnifications up to 300x are possible.